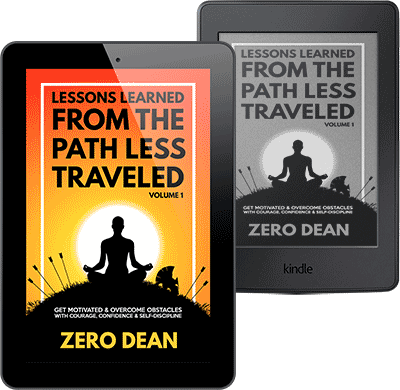 I’m happy to announce that the Kindle edition of Lessons Learned from The Path Less Traveled Volume 1 is now available worldwide. It’s only $2.99 if you already own the print edition. Otherwise, it’s $9.99 (US) — but see the “Heads up!” below for discount news). You can read the first 50 pages of my book right now for free (just select “download a sample”) to whatever device you prefer to read on. If you’re a member of the Kindle Unlimited subscription service, you can grab it for free. It’s also available for lending between family and friends — so you can share it. 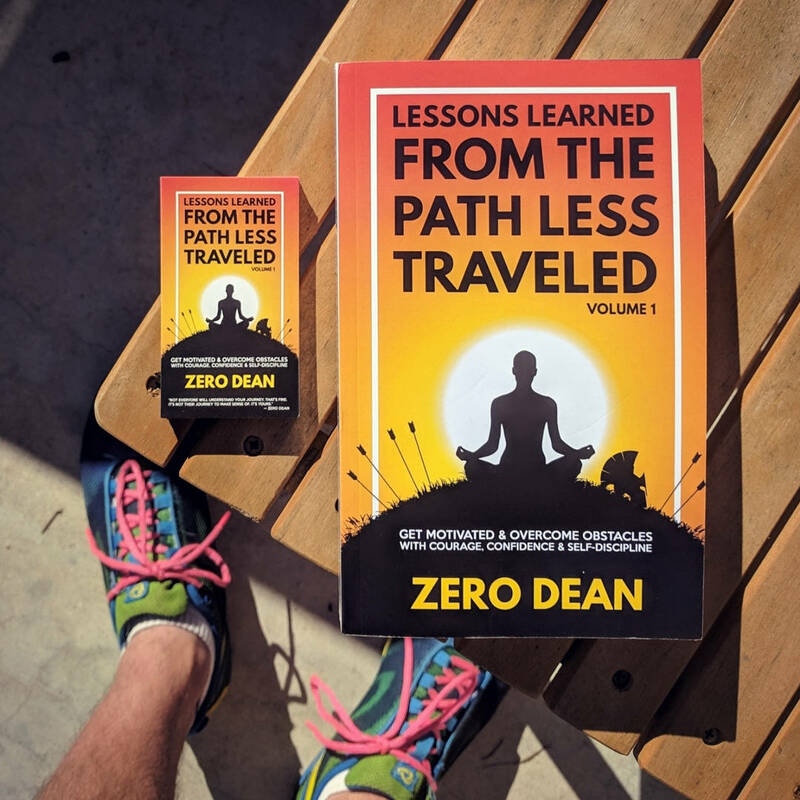 If you don’t want to pay full price for the ebook edition, Amazon is giving me five days over the next few months to discount my book however I want. As promised, I will be using one of those days to make my book available for free. For the other 4 days, I will likely reduce the price to $4.99, $2.99, $1.99 and $.99. I’ll let you know as soon as I know the details (and give you at least a few days notice before each of the promotions). But if you want to support my work by paying full price, you can do that, too! I certainly appreciate all the support I can get! Ok, that’s it for today’s news. Thanks for reading! What I know: I will be leaving San Diego and driving across the country to the Baltimore, Maryland area where I will be staying for at least a few weeks. I will eventually be making my way back to California. That’s all I know for certain at this point. This trip will likely take months and I do not plan on being in any rush to get from one place to the next. The destinations I visit are completely open at this point, but I plan on sticking with a general trajectory without backtracking to places I’ve already been to or traveling too far out of the way to get to anywhere in particular unless it makes sense opportunity-wise. Right now, where I go and what I do is entirely dependent on interest and available opportunities at this point. While I have a general path of travel in mind right now based on places I’d like to visit, I’m flexible. Because traveling isn’t cheap and I will be funding this trip out of my own pocket, paid engagements and money-making opportunities will likely be a priority (out of necessity). Currently, my book sales are not enough to support something like this, but maybe they will be eventually. I’m hoping paid engagements (speaking, photography, etc) will help offset some costs, but based on previous experiences, it’s not something I’m planning on. Blogging / Videos: I will discussing my journey as I travel and sharing whatever I think may be of interest to people (or whatever people express an interest in). Podcasting & interviews: I will be podcasting as I travel and interviewing interesting people. If you would like to be considered or know someone who should be considered, let me know. Book signings: When there is interest, I will arrange to have several copies of my book made available at book stores, coffee shops, or other meeting places. Meet-ups: I will be connecting with people who have an interest in meeting to talk or participate in an activity (social outings, adventures, etc). 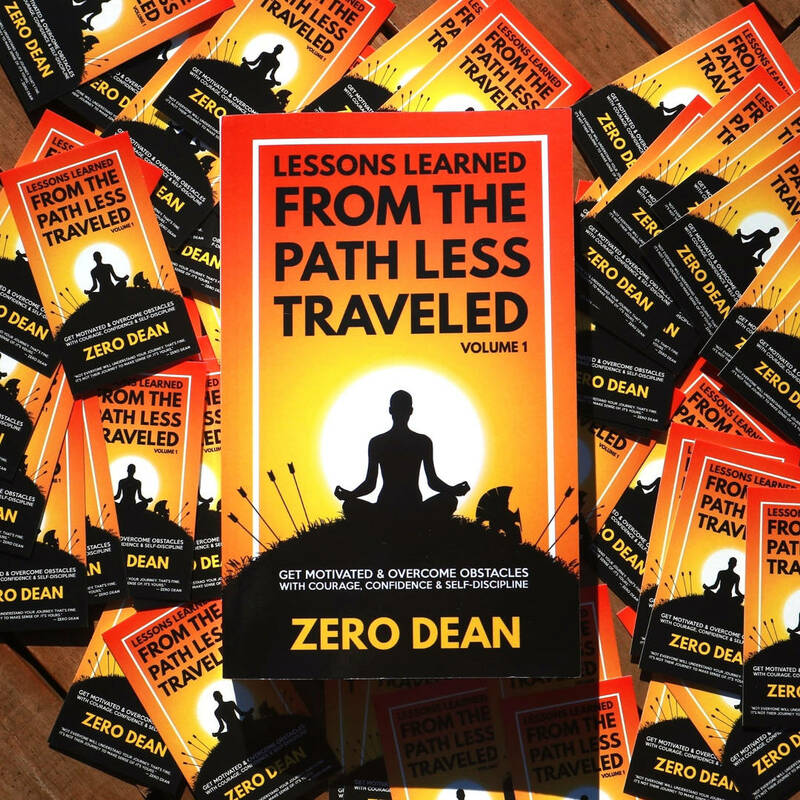 Speaking engagements: Where there is interest, I will be speaking at schools, businesses, organizations about anything related to the contents of my book or my travels. Photo shoots: I will be arranging natural light portrait photography shoots wherever possible. Photo adventures: I will also be taking advantage of my proximity to scenic places to shoot landscape and nature photos. And if all that wasn’t enough, I will also be working on Volume 2 of my book series. While I am hoping to have it out by the end of this year, there’s a good chance that this trip will likely interfere with that. But if I can pull it off, I will certainly try. Because of this publishing goal, there will be days where I do nothing but sit in a cafe — or the woods — and write. Which is another reason why this trip will take months. But even on the days that I’m not traveling, I’d like to get in the habit of producing short video clips to let you know what’s going on. I will be making up a lot of this and adapting as I go. If you followed my previous travel adventures (ie 2010-2012/13) — or if you’ve read my book — you’ll know I have some experience with this sort of thing. But unlike before, I now have the benefit of having had years to reflect on what I could have done better in order to avoid certain issues. This will essentially be an opportunity-seeking adventure. So lots of things are possible. 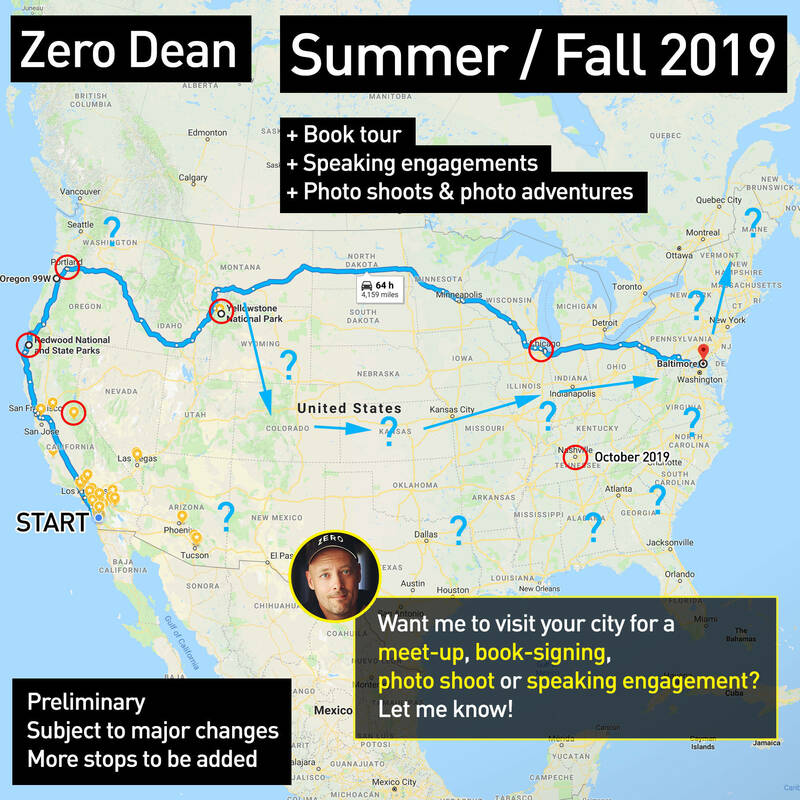 And besides all of the aforementioned things I plan on doing, I will also be using this trip as a way to test the viability of setting up a portrait photography related (or other) business in a particular city. I previously had a photo studio in the Baltimore area — and still have some connections there — which, besides wanting to catch up with friends, is one of the reasons I plan on staying in that area for a few weeks. Whether you simply want me to sign your copy of my book or want me to do a book signing at a place you suggest (book store, coffee shop, wherever…) and can help me arrange it, let me know. If you’d like me to speak at your meet-up, company, or organization, let me know. If you’d like to participate and/or be interviewed on my podcast, let me know. I’m looking for interesting and passionate people. I’ll have more details on this later. If you’d like to participate in a modeling or portraits photo shoot, let me know. Basically, if any of this sounds interesting to you — or if you have ideas, suggestions, or feedback — let me know. If you received this via email, you can simply reply to this address. Or if you are reading this on my website, you can visit the contact page to send me a message.